Tennis is a popular pastime, with an estimated 11 million Americans playing the sport. As in many sports, the repetitive motions and overuse of certain joints and muscles can cause injury. Shoulders, elbows, knees and ankles are the usual victims. 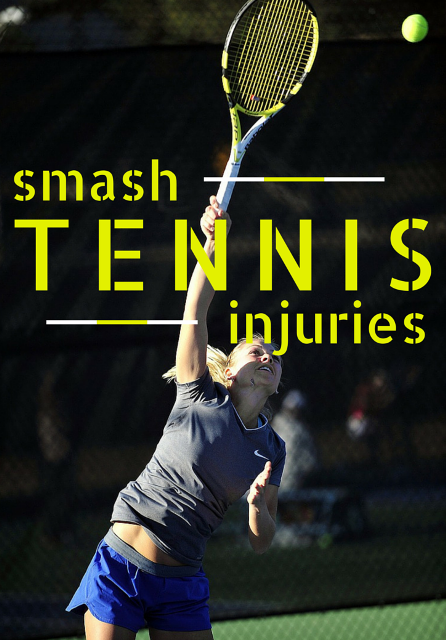 A recent report in the March issue of the Journal of the American Academy of Orthopaedic Surgeons (JAAOS) offers tips to help tennis players minimize injury. Tennis elbow is the most common upper body injury, typically resulting from the constant bending motion of the palm down towards the wrist, creating pressure on the elbow. An "overuse" injury such as this might have muscles surrounding the elbow joint with microscopic tendon tears causing inflammation and pain. Tennis elbow is often successfully treated with rest, physical therapy, and proper stretching or use of a brace when playing. If those options do not help with the pain, corticosteriod injections or surgery may be needed. Sometimes too much upper body strength in players can create an imbalance of weight and force while jumping around the court, causing injury to the lower body. According to the report, up to 67 percent of tennis injuries involve the lower extremities - hips, thighs, legs, ankles, and feet. Common injuries include sprains, strains, fractures, and even broken bones. To strengthen the lower body and allow it to better bear the weight of aggressive upper body movement, try adding squats and trunk rotations to workouts for better leg and core stability on the court.